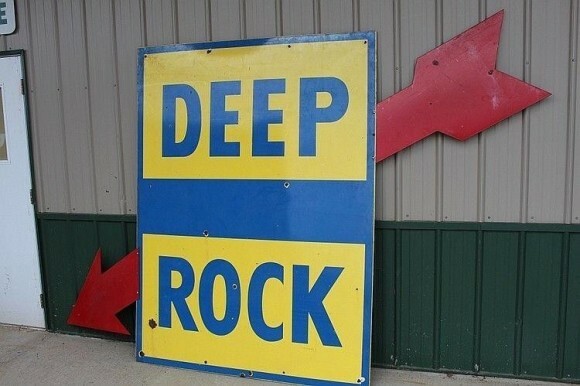 This Deep Rock die cut porcelain sign measures 60″ by 80″. The sign is a rectangle that is blue and yellow. The text on the rectangle reads “Deep Rock” in blue. Running through the rectangle is a red arrow pointing downward.